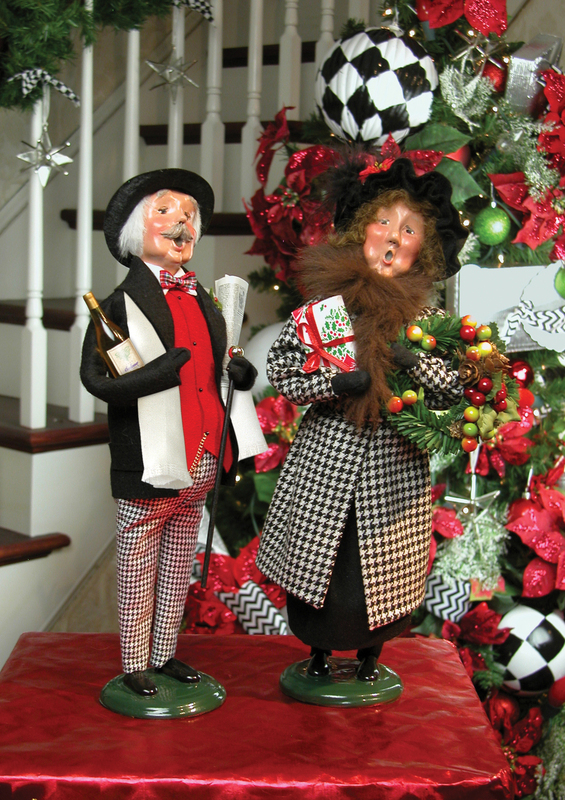 Our Christmas room is a delight to collectors and the young at heart all year long. All of your favorites may be found here! The Muller-Blech family has been active in the craft of glassblowing for over 400 years and has been producing Christmas ornaments for 250 years. 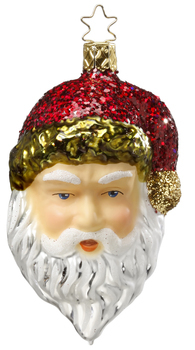 We have the largest collection of Christopher Radko Glass Ornaments in the area. Kevin Kloppenburg is known for his hand cast and hand-painted paper ornaments as well as cast paper framed work. He teaches art at Central High School in Springfield, MO. Personalization of the ornaments is available. 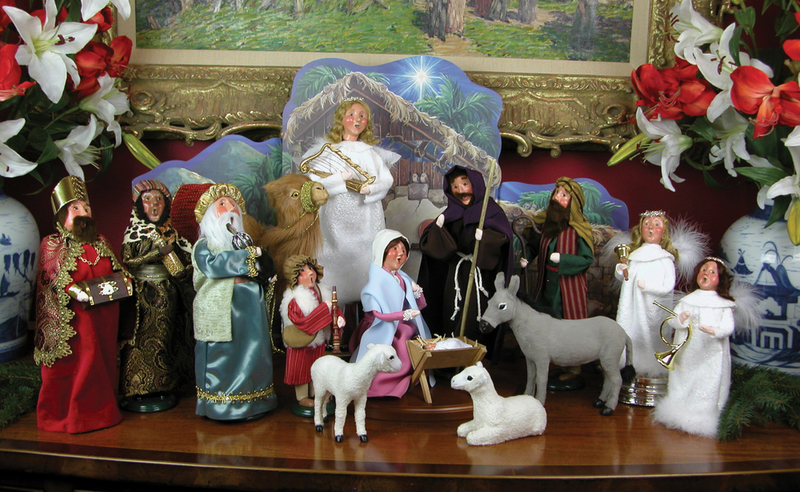 Every Byers' Caroler is handcrafted in the studios in Pennsylvania. 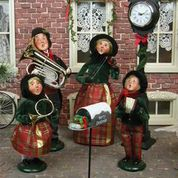 These Carolers bring warmth and the traditions of Christmas to your home. All of our nutcrackers, smokers and pyramids are made in Germany. Many are Christian Ulbricht, but we have other types as well. Since 1923 these beautiful angel figures have been made in the Erzgebirge region of Germany. 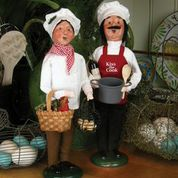 Popular collector's items, these angels and figures are all handpainted and handturned. Wilhelm Schweizer Pewter is truly a handmade item, as each one is cast individually and then hand painted. This is a centuries old art form that is made in Diessen Germany. Jingle Nog are heirloom quality European glass ornaments, mouthblown and handpainted, that are produced in Italy and Poland. The line is designed by the company's creator, Melissa Byrne. Ne' Qwa ornaments are done in the centuries old tradition of reverse painting on the inside of glass.